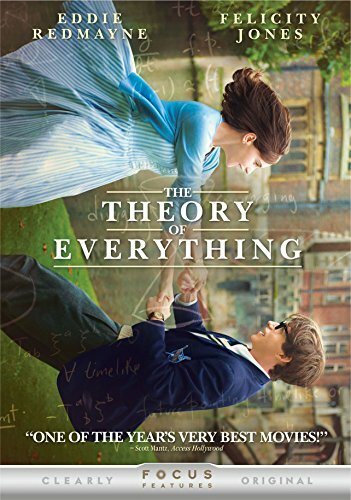 Buy The Theory of Everything or Travelling to Infinity cheaply from Amazon. You too can earn money from writing articles by signing up for InfoBarrel. 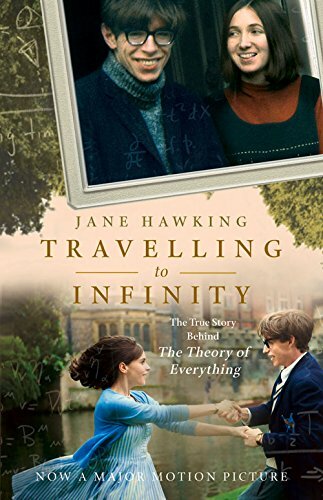 The Theory of Everything is based on the book Travelling to Infinity: My Life with Stephen by Jane Wilde Hawking. It briefly starts with an out of focus scene of a wheelchair and several people in an impressive setting before going to Cambridge in 1963.
Credit: http://en.wikipedia.org/wiki/The_Theory_of_Everything_%282014_film%29#mediaviewer/File:Theory_of_Everything.jpgA young Stephen Hawking (Eddie Redmayne, Jupiter Ascending) has moved to Cambridge after graduating from Oxford. He is a cosmologist who is doing a PhD in physics; the only problem is he hasn't picked a topic to actually do his thesis on. At a party which he attends with his roommate Brian (Harry Lloyd) he meets a young woman, Jane Wilde (Felicity Jones), with whom he eventually forms a relationship. There are some instances of clumsiness and loss of manual dexterity which, for those who know about Hawking's illness, are foreboding the future. Whilst on a trip to London with his advisor Dennis Sciama (David Thewlis) to see a lecture by Roger Penrose (Christian McKay, Rush), Hawking finally decides on a topic for his thesis - time. The title of the film refers to his pursuit since then of a single unifying equation that will explain everything. During his studies, his muscles give way whilst walking, sending him crashing heavily to the ground. Taken to hospital, he is eventually diagnosed with motor neuron disease, and told that his expected lifespan is just two years. During this time, his muscles will atrophy away and he will eventually be trapped in a wasted body, unable to communicate with anyone. Jane refuses to give up on him, despite what everyone says, and continues their relationship. For anyone wondering why Stephen Hawking is speaking with a British accent, that's because he is British (this is a reference to the fact that the US publication, Investor's Business Daily, which would be assumed to be fairly respectable and competent, published an editorial using both Stephen Hawking and Britain's National Health Service to condemn the idea of socialised medicine, stating that, if Hawking was British and his survival had depended on the NHS he would be dead - rather incompetently overlooking the fact that he is British, not dead, and has stated that he owes his life to the NHS). One thing that is always a concern with any film based on a true story, especially when the people depicted are still alive, is just how accurate it is, so, how did The Theory of Everything do? Some things are altered, some things or people are composites, and some things did not happen as portrayed. It does not seem to suffer from any truly gross inaccuracies, but it could have been more accurate than it is. In all, about middle of the road for a fact based film. This is more biographical and a love story than anything else, which is a bit odd for a film about a man considered to be one of the greatest theoretical physicists of all time (sorry Sheldon, you aren't on the list). Very little time is spent considering his ground-breaking work. There is his doctoral presentation and a lecture in which he discusses black holes and what has become known as Hawking radiation. Other than that, there is very little time spent on it. Perhaps it was felt that such more technical work would not be as appealing to the audience, but it does seem to diminish the story a bit. There is also very little time spent on Hawking's illness and its treatment, beyond the brilliant depiction of its gradual effects on his system by Redmayne. Admittedly, Hawking himself is a rather private person in such matters, but there is no explanation as to how he managed to outlive his originally stated lifespan of two years by about five decades (this is due to him having a very rare and slow progressing form of the disease). This is rather the personal story of a brilliant man and a terrible disease, and how he and his family coped with it. As with life, there are some funny things and some that are more upsetting. The Theory of Everything is one of the better biopic films around. I wasn't sure what to expect going in, I agree with your perception and rating on this one. And Redmayne was excellent in the role, I've only seen him in 2 or 3 things, but always like his work. I'd never even heard of him before, but I do think he did an excellent job of showing the progression of the disease. That can't be the easiest thing to do, and make it look realistic. I really enjoyed this movie. I was particularly fascinated with the role that Jane played in supporting Dr. Hawking as his disease progressed. I really felt for her. She put her own career aside and did virtually everything for him while raising their three children. All the while he wanted to lead as normal a life as possible for as long as possible. As he resisted the progress of the disease he also made life more difficult for Jane. He refused to use a wheelchair for as long as possible, and also appeared to be in denial about Jane's need for help looking after him. Yes, that did seem to be a blind spot he had. I've read that their relationship has improved again in recent years. The only reason I went to see the movie is because it's based on Stephen Hawking's life. There are several references to him on "The Big Bang Theory". The performance of the actors is superb. I am not sure about the movie but one of the actors might win an Oscar. There are more than just references to him in TBBT - he actually makes a guest appearance in one episode (Sheldon fainted). Yes, Eddie Redmayne is a favourite for winning an Oscar, and his portrayal of Hawking's disease was excellent. Oh yeah. I totally forgot that episode. Now that I remember it, I can't stop but chuckle.